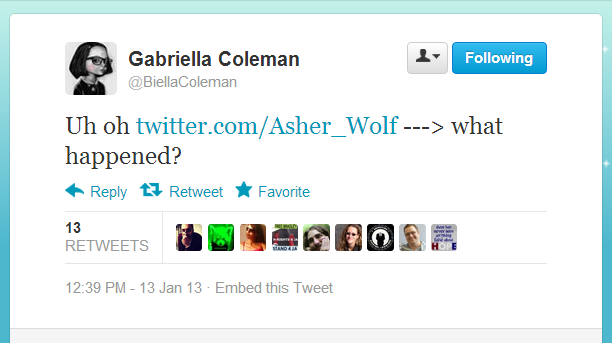 Sexism drove Asher_Wolf away from Cryptoparty and it looks like Twitter as well. 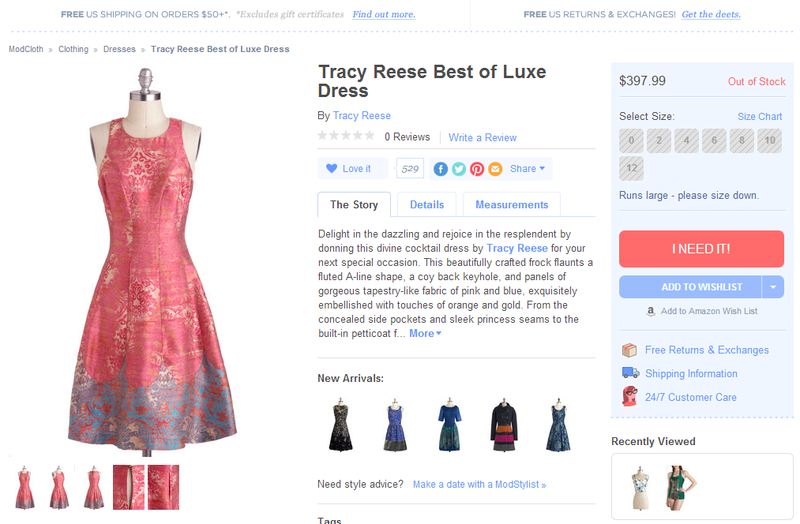 Last night she “ragequit” due to something related to hackers posing as “bronies” attacking her website? That is what the rumors on Twitter are saying, at least. I write “bronies” because Internet pranksters love disguising as them (or anyone they hate, really. The #cutforbieber folks, for instance, tried to blame it on 9GAG in various comment section of YouTube vlogs on the controversy). 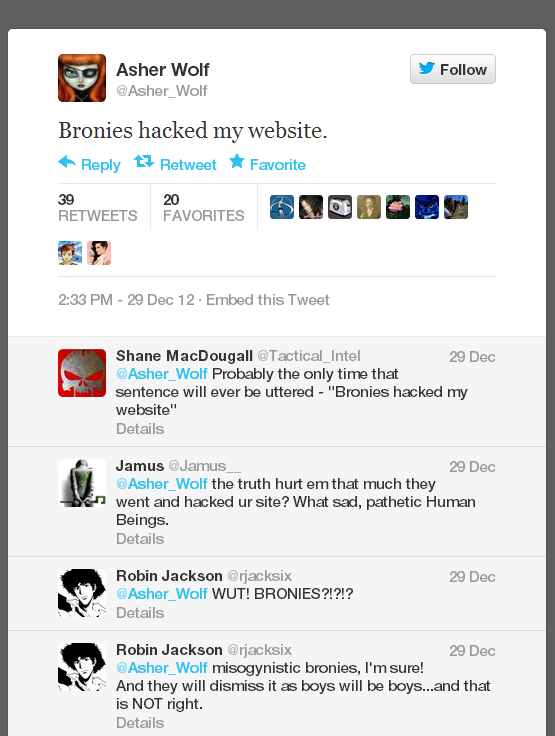 The time stamp for the brony attack is from December, but the intention behind whatever drove the people to harass Asher_Wolf is still the same. While I had yet to attend a cryptoparty – it was on my agenda – I relied on her Twitter stream to keep me updated on all acts of Internet activism. She was in Australia, and her timing jived with my late night Internet wanderings when insomnia kicked in. I get her point of not having to stick around and take abuse, but why quit Twitter when it was her site that was disturbed, not her news distribution service? I feel like I am being punished. On secondary inspection, it was probably the trolls that came out following her Aaron Swartz post. 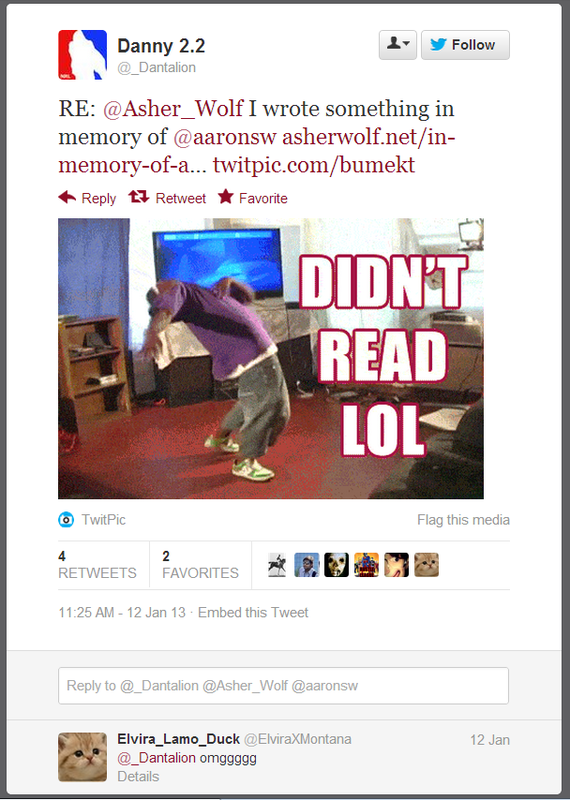 Asher_wolf is back on Twitter, no explanation for the hiatus.